With the paper launch of the new Coffee lake CPUs and Intel’s stubbornness to continue to use TIM instead of soldering has caused a major issue for many consumers. 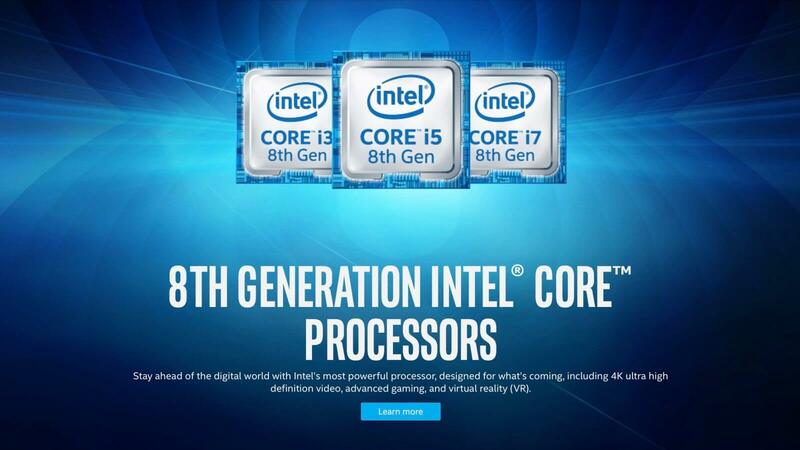 Delidding is nothing new, however, up to this point, it has been a procedure that has been conducted only by end clients, with just Intel’s latest arrangement of Kaby Lake and Skylake-X series CPUs making this procedure broadly accessible from retailers over the globe with pre-binned overclocking values. With pretty poor thermal performance and lack of normal supplies, Caseking with the help of Der8auer have taken delidding to a whole new level, not only delidding their Coffee Lake CPUs to replace Intel’s included thermal compound but also taking some more extreme measures to ensure optimal thermal performance at high clock speeds. Above this lies the Pro Edition, which has also had its stock IHS smoothed out and nickel plated to improve the CPU’s contact with the user’s cooling solution. This is said to improve thermals by a further 5-7 degree over the Advanced Edition. At the top of Caseking’s range is the i7 8700K Ultra Edition, which replaces Intel’s standard IHS with a version that is made of 99.9% silver, which is designed to be smoother and offers better thermal conductivity than Intel’s reference heat spreader. This version is said to offer thermals that are 8-12 degrees cooler than their Advanced Edition. This makes it between 18-32 degrees cooler than Intel’s stock 8700K under load. 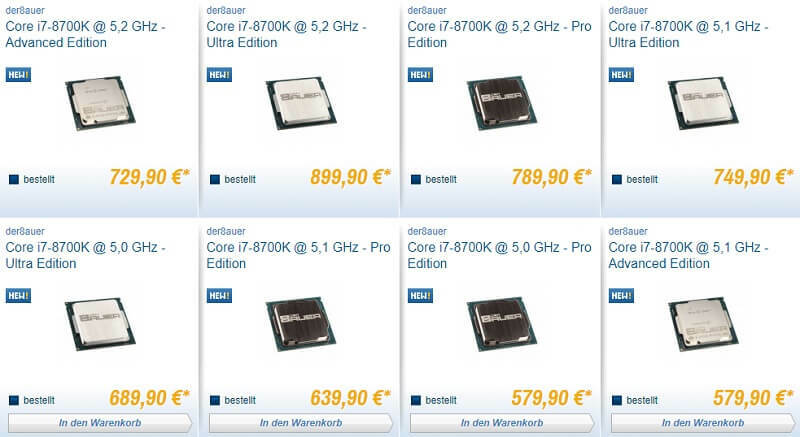 As expected these CPUs have 2 times price markup over the actual retail MSRP. But this also provides a better OC capable chip as well as a much better Thermal Performer. Along with that you also get a cool Laser etched Der8auer’s and Caseking’s Logo.